Belden Inc. has released its new SPIDER III PoE Standard Line of entry-level rail switches. 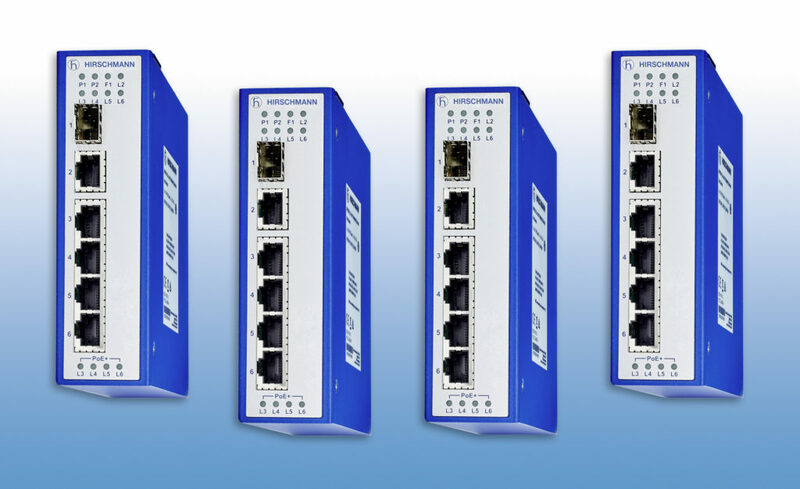 Highly flexible and configurable, these switches are built on Power over Ethernet Plus (PoE+), enabling industrial engineers to supply greater power to more network devices and ensure high-quality, reliable communication. Increase performance and reduce lifecycle costs with PoE+ for greater power to more devices, without requiring an external power supply. Enable flexible network expansion with configurable fibre and copper port options to meet specific industrial needs. Protect network resiliency in harsh environments with metal enclosure and IP30 protection class rating. Maximize network uptime with plug-and-play functionalities that make installation and maintenance easy, without any tools. The entry-level rail switches of the SPIDER III PoE Standard Line are shock, vibration and interference resistant, making them ideal for a variety of harsh industrial applications, such as automated systems in factories, processing plants, traffic control, video surveillance and building technology. Industrial engineers working in the manufacturing, machine building, automotive and mechanical and plant engineering industries will benefit from the new devices as they reduce the amount of cabling needed in tight operating spaces.